The 2485 dwt cement carrier Emeline sank in rough seas caused by Cyclone Narelle in the Flores Seas. 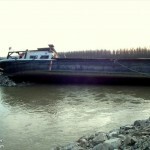 The Emeline was en route to Banyuwangi from Soekarno-Hatta with a cargo of cement Overwhelmed in the storm’s high waves, the Emeline was in danger of foundering. The crew of 17 attempted to abandon ship into the vessel’s two life rafts. Two crewmen failed to reach the life rafts and were presumed lost when the Emeline sank. The two life rafts quickly seperated in the raging storm. 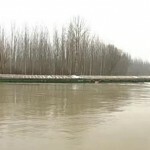 One raft was later spotted by the 5223 dwt freighter Mahakan River which rescued the six men on board. The Mahakan River attempted to search for the other raft, but had to seek refuge as the cyclone intensified. Authorities were contacted and dispatched a helicopter to search for survivors. No further details reported. 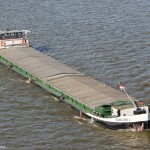 The 68 meter long self-propelled barge Euroship 1 grounded on the Danube River near Medved’ov, Slovakia. 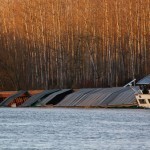 The vessel with its cargo of 30 tons of steel coils became disabled after its rudder was jammed by a log. The Euroship 1 drifted as it was pulled by the strong current towards shore. 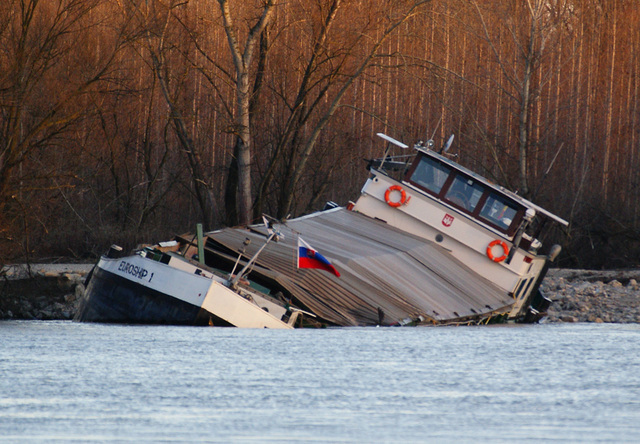 The vessel finally went aground onto an embankment. 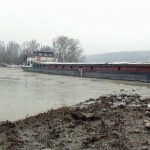 Later the Euroship 1 began to list as the water level on Danube River dropped. 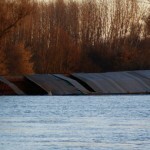 The list increased allowing water ingress into the cargo holds. Booms were placed around the vessel after some pollution was released. 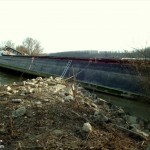 Authorities have requested that the 1,700 gallons of diesel fuel along with 70 litres of oil to be pumped off. 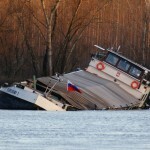 Reports state the Euroship 1 suffered significant damage beyond repair and the vessel will not be salvaged. No reports of injuries. The 140 foot long, 417 gt high speed ferry Seastreak Wall Street allided with a pier in lower Manhattan Island, New York. 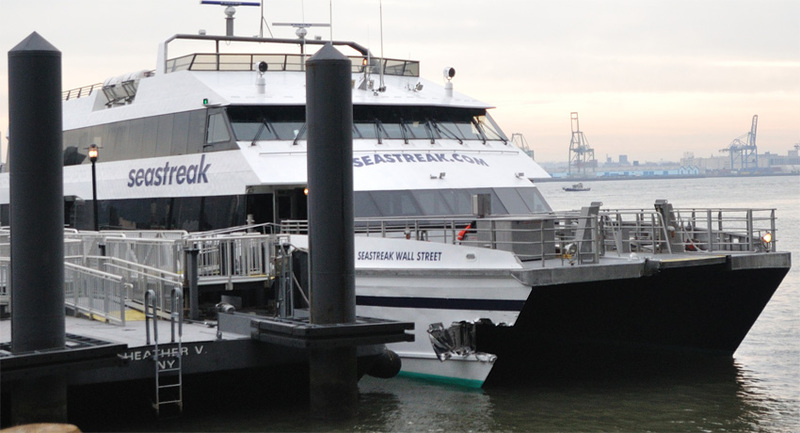 The Seastreak ferry had made its crossing the East River from New Jersey with 300 passengers approaching near Pier 11. Instead of slowing down, the ferry struck the pier at 10 miles per hour. Over 70 passengers suffered injuries as they were thrown across the deck. Reports state many suffered neck and shoulder injuries along with cuts and bruises. Two passengers sustained critical injuries. The ferry suffered a gash in the port hull. No reports of pollution being released. The National Transportation Safety Board has launched an investigation into the incident. Reports do state that all five crew members were tested negative for alcohol. In 2003, a Staten Island ferry hit a pier at full speed injuring 70 and killing 11 people.